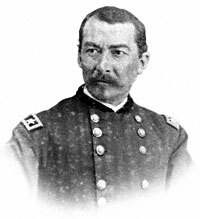 Union Army General Philip “Little Phil” Sheridan was an Army lieutenant at the outbreak of War. He rose through the ranks, first as a quartermaster and later as a cavalry officer and division commander in the West. He stormed Missionary Ridge at the Battle of Chattanooga in 1863. 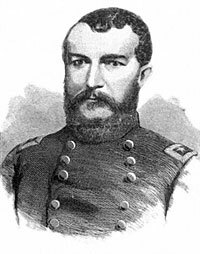 A dramatic, inspiring and irascible leader, he commanded Union Army in Shenandoah Valley in 1864 and devastated it. He was nearly defeated at Cedar Creek but rallied his troops for victory. 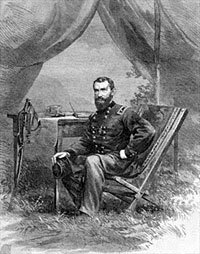 In 1865, Sheridan joined Grant at Petersburg to deliver the blows that led to the defeat of Confederate forces at Appomattox. He had the confidence of General Ulysses S. Grant but often clashed with fellow generals like George Meade. 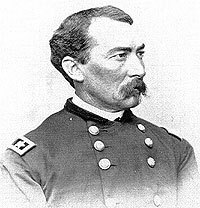 Sheridan was subsequently a military governor in Texas and Louisiana where he pushed for enrollment of black voters and sided with Radical Republicans. 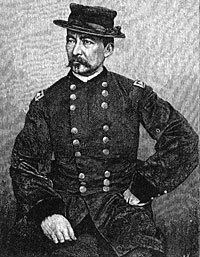 He became commander in chief of Army in 1884 and served until his death in 1888. He was active in the preservation of and creation of Yellowstone National Park as well as brutal treatment of western Indians. William O. Stoddard, Jr., editor, Lincoln’s Third Secretary, pp. 207-208. Roy M. Basler, Collected Works of Abraham Lincoln (CWAL}, Volume VII, p. 13. 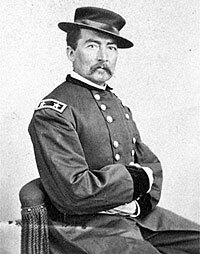 Philip Sheridan, Civil War Memoirs, p. vii. Sheridan, Civil War Memoirs, p. 140. Don E. Fehrenbacher and Virginia Fehrenbacher, editors, The Recollected Words of Abraham Lincoln, p. 403. Jeffrey D. Wert, “Toiling in the Shadows: “The Grant-Made Command Relationship,” Civil War Times, June 2007, p. 49. CWAL, Volume VII, p. 57.